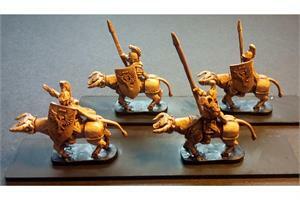 This pack contains 14 Legian Cavalry with Spears and Shields, and 2 Command Figures. There are 2 variants of the Legian Cavalry Spearmen figures. 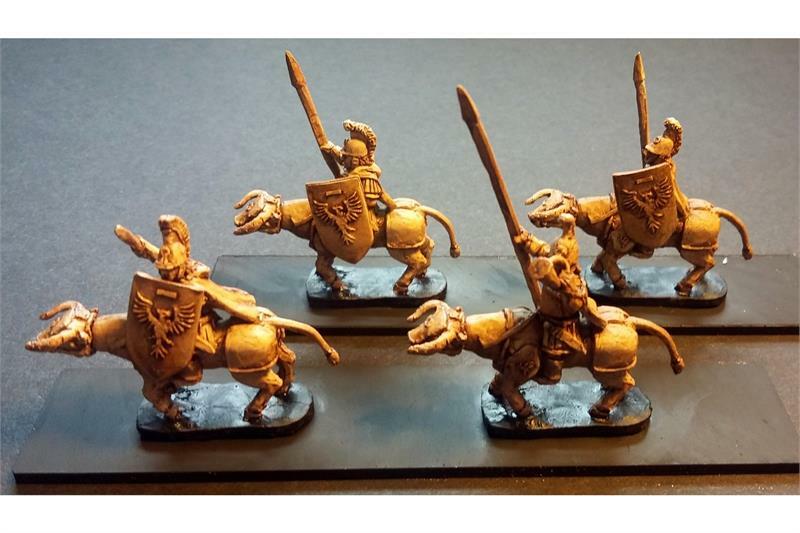 You will receive a random mix of 14 Spearmen, 2 Command Figures, 16 Shields, and 16 Bull Bodies, and 16 Heads.